by selecting the View->Station/Object List menu choice to view a sortable table of the current state of all known stations and objects; this view also allows creating new Objects, and saving and loading files of current Object records. 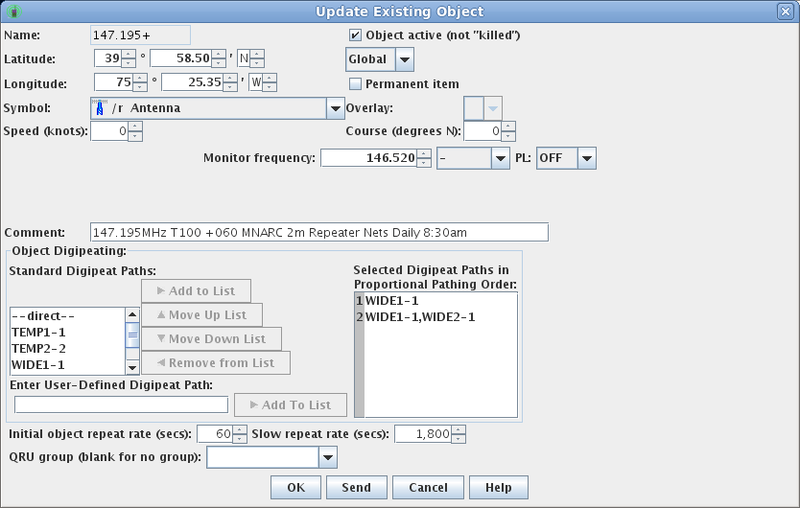 Left double-clicking on a row in the table locates the station on the map; right-clicking brings up a popup menu of commands that can be executed upon the station or object. by right-clicking on the Object or Item's icon on the map and selecting "Update Object" on the pop-up menu. The Object Editor will appear with the attributes of the Object. Objects originated by this station can also be updated.